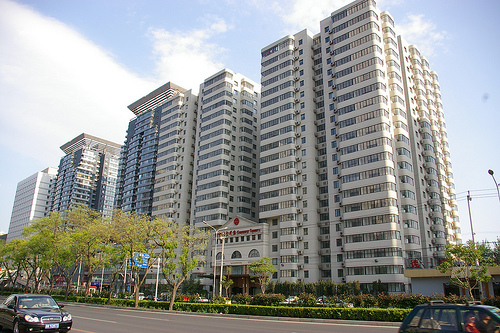 Transportation: Beside shuangjing subway station (Line 10 and 7),less 2 minutes walking. Only one subway stop to CBD Guomao. Century Towers Introduction：Century towers are strategically located on the fringe of Beijing's Central Business District and a mere 2km away from China World Trade Center. The Shuangjing subway station is just a few minutes away putting you with easy reach of Beijing's business,shpping and entertainment districts. Century Towers consist of 2 high rise residential blocks of 25 storey apartments with a total of 378 units. Each of the apartments provides an elegant and comfortable living envirorment of a home. Our guests can choose from a variety of apartments ranging from one, two, or three bedroom apartments. Century Towers provide a high quality alternative for those seeking a home envionment for either long or short term stay. § Free roundtrip shuttle to CWTC. Above mentioned size is floor space. § Rate are inclusive of management fee, water, hot water, gas, center heating, shuttle bus, telephone,internet,satellite tv,once time a week housekeeping.each apartment provide an air purifier. § One month lease term is required.